MONDRAGON’s commitment to internationalisation was endorsed in 2012 by the performance of its industry area which ended the year with international sales that set a new record of €4bn. Despite the uncertain economic situation, MONDRAGON consolidated its presence abroad by opening 11 new production subsidiaries. Its international sales now account for 69% and it employs 14,000 people abroad. The increase in MONDRAGON’s share in the BRIC markets (Brazil, Russia, India and China) is also particularly significant, around 20% up compared to the previous year. In addition to internationalisation, the dynamism of the emerging markets and the focus on innovation drove the performance of MONDRAGON’s Industrial Area in 2012. The Corporation continues to be a benchmark on the international stage, with commercial and production facilities across the five continents. At the end of 2012, it had a total of 105 production plants, after setting up new facilities in places as different as Europe, China, India, Mexico and Morocco. Looking over a slightly longer timeframe, from 2009 to 2012, international sales have grown by 26% and have gone up close to ten percentage points. MONDRAGON’s international project is backed by an ambitious plan to establish the bases for adapting its business to the new market situation, with a strategic commitment to increasing its presence in the BRIC countries, where in 2012 it posted sales growth of close to 20% compared to the previous year. The industrial area’s sales accounted for €5.8bn, with performance unavoidably linked to the strong fall in demand due to the economic crisis and the drop in spending. In total the Industry Area’s sales fell slightly (2%) compared to the previous year. In spite of there being less work for those co-operatives operating mainly in the domestic market, which was particularly affected by the crisis, the industrial area’s EBITDA totalled €469, which is an outstanding 7.8% over sales. In terms of Investment, it is worth pointing out that in this difficult economic situation MONDRAGON’s Industry Area as a whole invested €307m, mainly to develop new R&D projects and to set up new production plants abroad. Commitment to R&D&i accounted for a total of €160m, which shows how important innovation is for the Corporation. 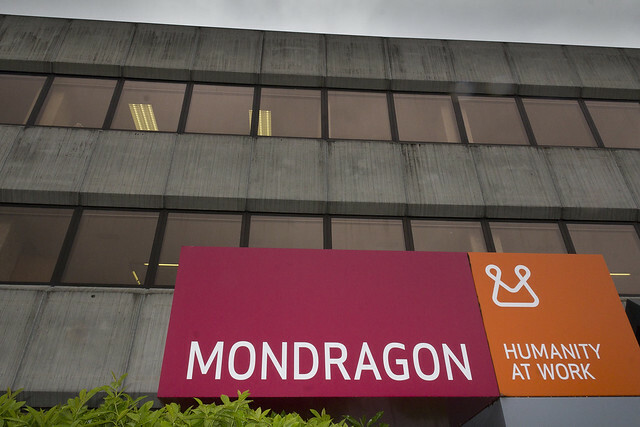 MONDRAGON has 564 patent families, is participating in 91 international R&D projects in sectors as varied as aeronautics, energy, ICTs and nanotechnologies and is promoting innovation as an investment in the future. Another figure worth highlighting is that 19% of revenue came from products developed in the last five years. MONDRAGON files an invention patent every week, which puts the Group at the forefront of knowledge. The way in which MONDRAGON is tackling the challenge of the economic recession is based on innovation. The Corporation has a network of technology centres and R&D units which groups together 15 bodies and provides employment for 2,000 people exclusively dedicated to R&D. As far as overall figures for the Corporation are concerned, total sales accounted for €12.9bn, which was 7.6% down on 2011, due mainly to the fall in the domestic market, which was offset in part by a slight increase (1%) in international sales. In 2012, the Ebitda was €1.29bn, a figure similar to that posted the previous year, and which accounts for 10% over sales. In terms of employment, the workforce has fallen by 3.9%, in contrast to the significant job losses recorded in the economy as a whole, with the average number of jobs over the year standing at 80,321 people. The fall in the workforce has been very much determined by the performance of businesses operating at home which in a time of such deep crisis have seen a decline in activity and therefore in jobs. In 2012 investment totalled €331m, which is 70% up on the previous year. As the President of MONDRAGON’s General Council, Txema Gisasola, said "in 2012, despite the problems of the economic situation, we have given a new and significant boost to internationalisation, we have accessed new markets and considerably improved our presence in the BRIC countries, and also promoted innovation. This is all in line with our socio-business policy which focuses on inter-cooperation between our organisations and on a commitment to the co-operative nature of our business project". Looking at the Corporation’s performance over the first four months of 2013, it is clear that this is going to be a complicated year in which the emphasis will be on the international dimension of the Corporation’s businesses. The turnover of the Corporation’s Industry Area is similar to that posted last year although international sales to April are again up 1.5%. International sales are already accounting for 71.1% of total sales. For the Retail Area, the first quarter of the year is still being hit by the slowdown in spending, with sales down 6.4% compared to the same period in 2012. However, the expectations are for spending to pick up and sales to increase in the second half of the year. The Finance Area is comfortably meeting its targets, and exceeding the forecasts made in its business plan as well as the figures posted last year. In line with this performance, the Corporation’s forecasts for the end of the year point to an improvement over the results in 2012, with an increase in the Ebitda of around 5%.